Designed to stand on, or recess into, a countertop. The Sharps Container Shield for PET is a simple, safe and convenient solution for disposal of syringes that have been contaminated with high-energy radionuclides. 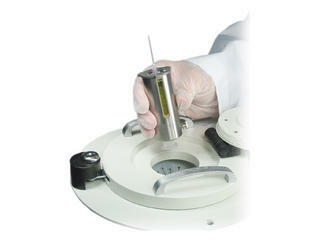 The shield is constructed of steel and lined with 1" thick (2.5 cm) lead. 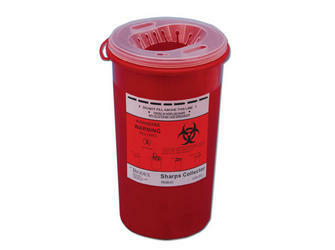 The shield is designed to be used with 039-413 sharps containers. 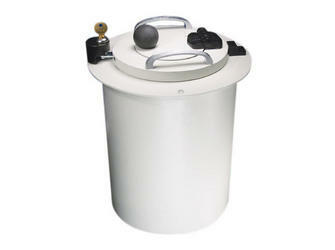 It features a lockable sliding cover for container removal and a hinged top door for syringe disposal. 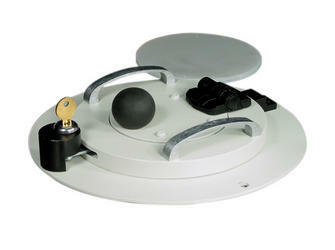 The shield can stand independently or can be recessed into a cabinet or countertop.